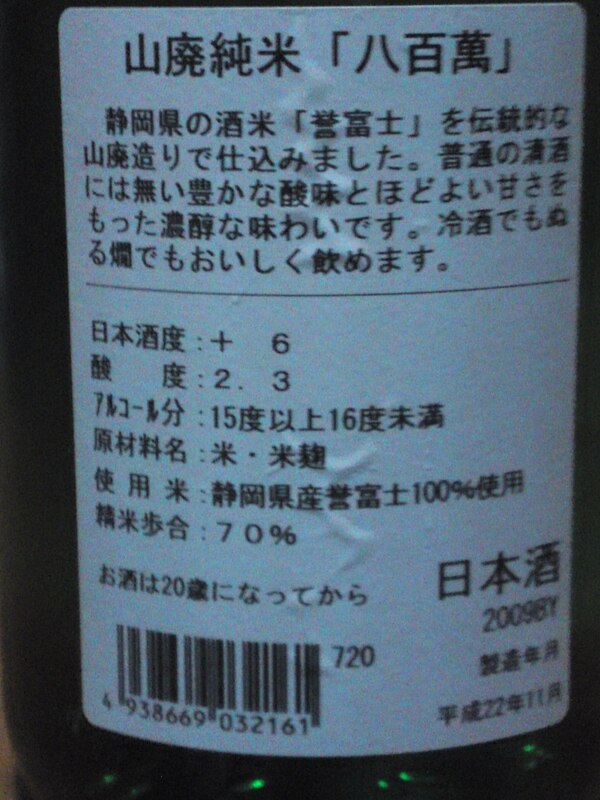 There are now 19 out of 28 breweries in Shizuoka Prefecture producing brews made with locally-grown sakamai/sake rice. Sugii Brewery in Fujieda City has been experimenting with Shizuoka-grown Homarefuji/誉富士 rice right from the very beginning. Now, they have come up for the last couple of years with a traditional brew that a lot of other breweries avoid because of its difficulty: Yamahai/山廃! 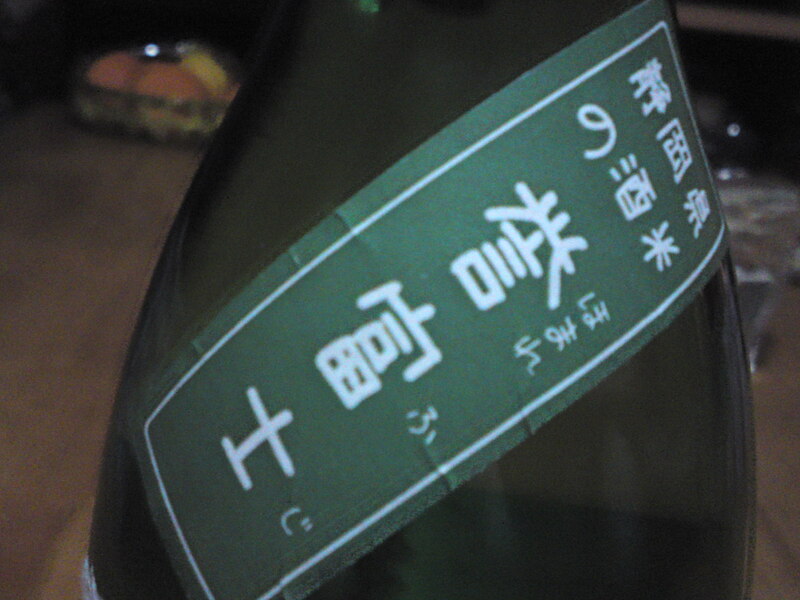 It does have a peculiar name: Yaorazu/八百萬 that even Japanese have a hard time to read! It is an allusion to a Shinto Shrine whose history dates back to the 8th Century! Turns a little sweetish later to make a quick dry comeback. Disappears quickly for a yamahai. Overall: More distinguished than expected for a yamahai. A sake designed for food? 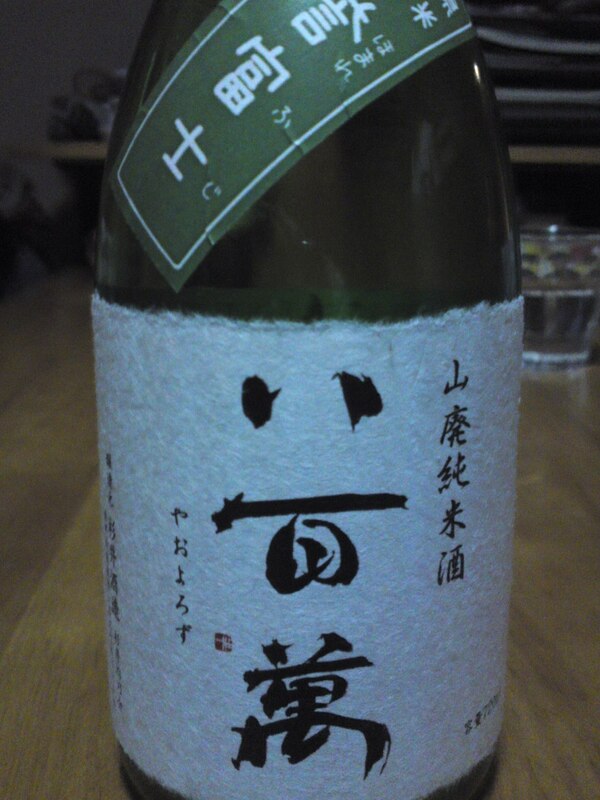 Very probably as I found it in many izakayas in Fujieda City. Perfect for food, especially that in izakaya. Can be enjoyed slowly at home with a snack!